Apart from the benefits to the environment, the economy and health, cycling is one of the most efficient forms of transport. Bikes take up much less room than cars, cause little road wear and congestion, make no noise and no pollution, and are easy to park. Cyclists don’t break the speed limits and, as far as we know, a cyclist has never killed a pony. Reducing the need to travel long distances for work, leisure and shopping. Improving road conditions to make them safe, convenient and comfortable to cycle on, including reallocating road space. The New Forest District Council includes these principles in its strategy for transport, and, while it knows there are still many gaps in strategic and local cycle networks, it has put in place on-road and off-road cycle lanes, shared paths, and other welcome help for cyclists such as advanced cycle stop lines at traffic lights. These are mainly outside the national park. 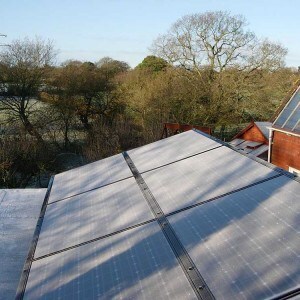 The New Forest National Park Authority (NFNPA) is also keen to promote sustainable transport. 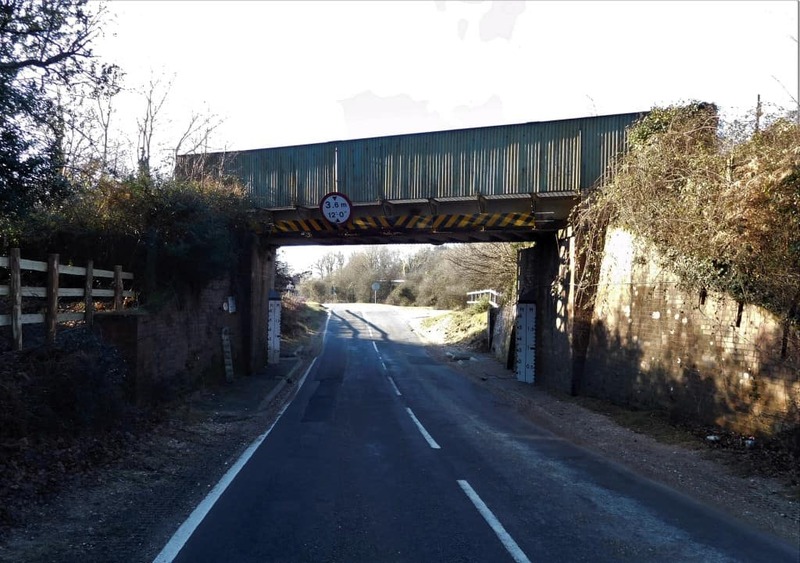 It has provided money for good improvements to the Ashurst to Lyndhurst cycle path and connecting routes in Totton, and for building a new cycle path between Marchwood and Eling. The NFNPA has also funded some safety-related infrastructure on the A337, the excellent provision of a wide range of adapted cycles to suit riders of different abilities, and grants to local businesses, charities and organisations for cycling-related activities and equipment. The funded cycle paths and safety features in the national park are all located outside of the actual Forest. The term Forest refers to what is also called the Perambulation – that part most people come to visit, which is entered when you pass over a cattle grid on one its borders. For cycling infrastructure in the Forest, the approach has been a bit different. In the Forest, the NFNPA has made grants towards the renovation of three bridleways and a shared-use open path on private land, the provision of a forest track bridge, and improvements to the surface of 16 miles of off-road tracks. In these cases, cycling money has been used to maintain and upgrade routes which are available to all users of the Forest, including residents and cars in some cases; routes nearly all of which cyclists, alone and ironically, have to be granted permission to use. Meanwhile, conditions for on-road cycling in the Forest have been largely ignored. These are intermittent ‘reminder’ cycle lanes in rural Essex, one way of keeping drivers informed of a designated cycle route and helping to calm traffic. 1 A lack of suitable connectivity between the disconnected off-road sections on which cycling is allowed, between settlements, transport hubs and places of interest. 2 A need for safer connections, including on-road routes, for commuting and leisure. As long ago as 2008 the HCC Countryside Access Plan highlighted the problem for cyclists in the Forest, noting that they do not have the rights of access enjoyed by walkers and riders. It explained that, to devise routes longer than the short circular off-road routes, cyclists needed to use the roads. This was a particular concern for families, due to the levels of traffic on the Forest roads at peak periods. 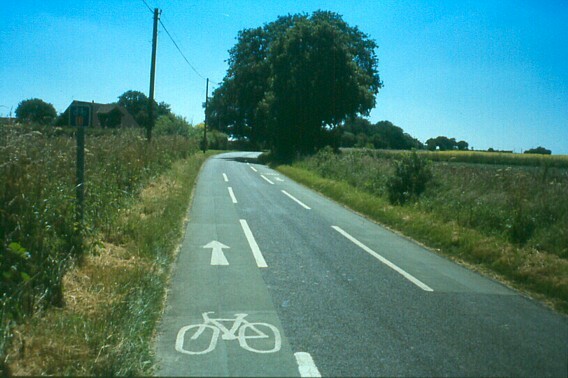 The NFNPA Landscape Action Plan (LAP) identifies a ‘general lack of shared use of rural roads by cyclists, riders and pedestrians because of the fear of traffic.’ Unfortunately, for cyclists if not others, routes through the Forest must be partly on roads, or totally if cyclists don’t have off-road-capable bikes. The promotion of a safe on-road cycling environment would encourage more people to use bicycles. Cycle-friendly roads slow down traffic and can discourage cars from using those routes. This is good also for livestock and the environment. The LAP recognises that highways features ‘such as marked cycle lanes can calm traffic’. The signing of National Cycle Route 2 (NCR2) from Hythe stops suddenly at Brockenhurst. For the next 14 miles, nine of which are on roads, NCR2 is invisible until it leaves the national park in the west. 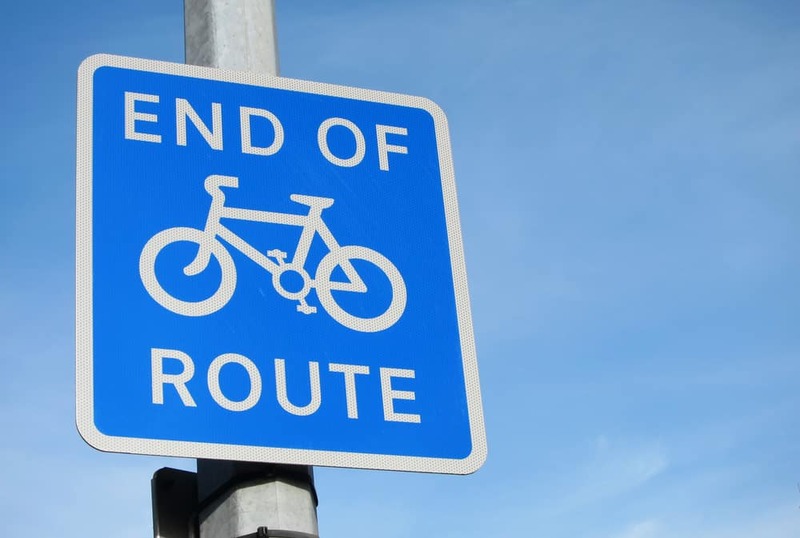 The blue signs of cycle routes inform and remind drivers of the presence of cyclists, and make the routes safer as well as easily identified. Some roads in the Forest have become less safe for cyclists since the highway authority put in numerous pinch points to reduce traffic speed. There are no cycle bypasses so the pinch points generate conflict between cyclists and drivers. The official New Forest Cycle Map shows a few on-road routes as approved, but without explanation. Nothing has been done to make them any safer than any other road. There is no signage to tell cyclists or drivers that they are approved-for-cyclists roads, so their designation is meaningless and they are as invisible as most of NCR2. There are also some hazardous stretches of road recommended for use by cyclists, but with no warnings to drivers. The Hampshire Cycling Strategy (HCS) sees scope for making drivers more aware of key dangers to cyclists and encouraging safer driving, and there is certainly opportunity for that in the Forest. A much-promoted cycle route in the Forest. Beyond the dip under the bridge the road swings to the left and traffic accelerates as it leaves a 30mph zone. The cycle route turns right off the apex of the bend on what is an often-busy road. There are no signs. Cyclists get plenty of advice on safety and behaviour. There is also good advice to drivers about cyclists on the NFNPA website, but it is tucked away under Watch for Ponies, and is not publicised anywhere else. One advantage in the Forest is that there is a speed limit of 40mph, which is claimed to make it a safer place to cycle. All the same, in 2012, 2013, 2014 and 2015 the wider New Forest area had the highest level of cycle accidents of all eleven areas of the county. And despite the speed limit, in 2015 nearly 5,000 motorists were caught speeding in the Forest on the 40mph roads. To reduce cyclist casualties and safety concerns by protecting cyclists and changing perceptions of safety. There are many opportunities for meeting these challenges and increasing the use of cycling through the Forest to help create ‘a safer and more joined-up network of comprehensive routes for non-motorised transport.’ (NFDC Transport Statement 2012). The emphasis in the Forest is on off-road recreational cycling, but some people who work there, make their way to railway stations or travel through it to places of work do so by bike, and more would under the right conditions. On-road, there is scope for encouraging more utility cycling, as well as sport and recreational cycling, by identifying coherent routes through the Forest, by encouraging more awareness of cyclists and by introducing some well-thought-out highway features to improve safety. There is no need for excessive signage; surface markings, effective awareness raising and a declared support for on-road cycling could also do much to make the Forest a quieter and safer place for everyone. This article is written by Mike Renouf, a New Forest Green Party member. Excellent observations lets hope those making decisions about cycling in the forest take note. Thanks; making things better for cycling is a win for everyone! Great stuff Mike and my apology for not catching up with this sooner. I wonder if GP members who cycle in the NF might contribute suggestions for making specific routs safer for cyclists, including the most vulnerable groups? We could then collate and present them as constructive suggestions for the NFNPA and HCC. Happy to contribute. After a dip in 2016 to second place, pedal cycle casualties in the New Forest in 2017 were back to being the highest in Hampshire. It’s a dismal statistic.